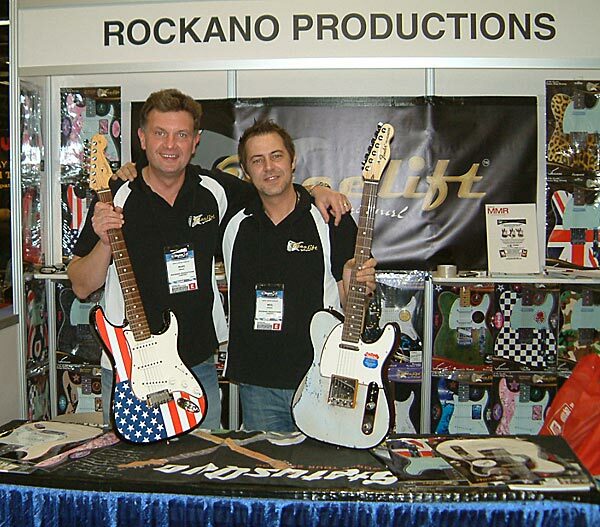 FACELIFT IS 'BEST IN SHOW' AT NAMM 2009. The news was announced on the final morning of the four-day show, attended by more than 85,000 MI professionals, after seven industry experts had trawled the trade exhibition to identify the best products and companies. The accolade was completely unexpected and a fantastic tribute, says Mike Hrano of Rockano Productions Limited, which produces Facelift. "Finding anything at NAMM can be something of a challenge," he explains. "This year, there were 1505 exhibitor stands, so for Facelift to have shone out from among them is amazing. Ours was the only product or company from the UK or from outside of the USA to pick up 'Best In Show'. It's certainly something to be very proud of, and I am." 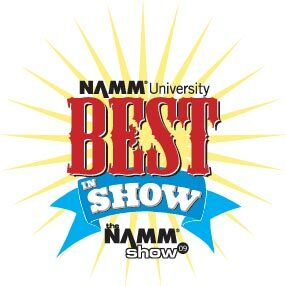 Picking up 'Best In Show' capped a hugely successful NAMM 2009 for Facelift, which recently had its official licence to produce a Yamaha Pacifica range extended from a UK to a worldwide deal. "I'll soon be announcing at least two further official licence deals, with major guitar manufacturers, to join those already in place with Fender and Yamaha," says Hrano. "I'm also now wading through the latest international distributor offers for Facelift - from China to India, from Mexico to Malaysia - which NAMM 2009 produced. Less than three years from launch, Facelift is truly a global success." Having acquired major USA distribution via both Kaman and Musicorp during 2008, Facelift has just been added as a 'new product' by both Musician's Friend and Guitar Centre. "That gives us high-profile, coast-to-coast coverage across America," says Hrano, "and more US distributors are now coming on board." A removable and re-usable laminated vinyl overlay for guitar bodies developed to quickly change the appearance of any guitar, Facelift is coated in 'ultra-low tack' adhesive that leaves no residue. It can be applied and re-applied in seconds to instantly transform any guitar, new or old - and it protects the guitar while providing the 'makeover'. The Facelift range comprises nine designs each to fit Fender Telecaster and Stratocaster guitars and was recently increased with two new designs to fit the Yamaha Pacifica 112V and three for Pacifica 012 and 112J guitar body shapes. All content and images copyright © 2016 Rockano Productions Ltd. All Rights Reserved.